Stealth based games in general tend to be a very rare thing in today’s gaming world and titles that can balance this stealth aspect while also delivering a satisfying combat system for those who prefer a non-stealthy approach are even rarer. 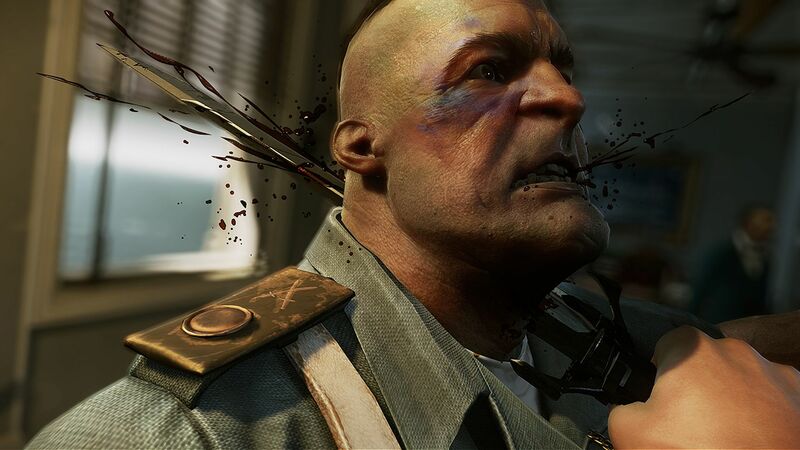 When Arkane Studios released Dishonored back in 2012 they pleasantly surprised fans with a supernatural powered assassin and numerous routes to tackle most challenges. 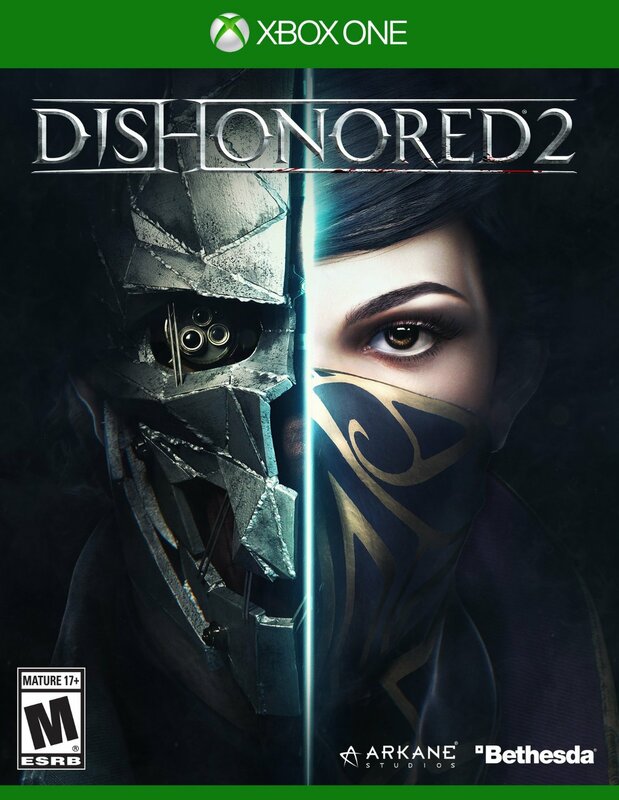 Now four years later they have released Dishonored 2 but does the unique and enjoyable feeling from the first title still hold true in the sequel? Set fifteen years after the events of the first game players find that Corvo Attarno, the protagonist of the first game and Emily Caldwin who has now taken on the title of Empress have helped bring Dunwall and the rest of their domain into prosperity. The problem is, those who have been questioning her rise to power have been mysteriously slain by someone that has been dubbed the “Crown Killer.” Many believe that Corvo, who is now apparently Emily’s father, has returned to his old ways of killing those who stand up against him or his daughter and things only get more dangerous when a visiting monarch delivers a bombshell. With Emily thrown off the seat of power and her claim to the throne called into question, players must select to play as either Corvo who has had his powers drained by the overthrowing power or Emily with the character they don’t choose being imprisoned in stone. With the city of Dunwall in danger and nearly everyone an enemy, the selected character flees to discover the truth behind the mysteries surrounding them and try to reclaim what was once theirs. 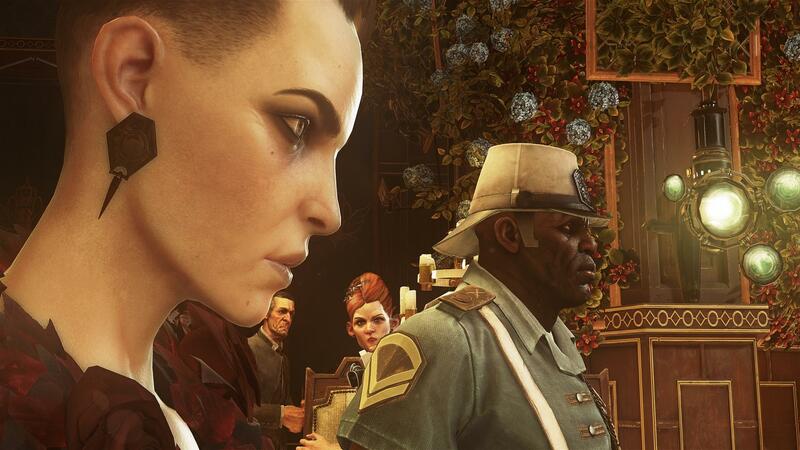 In interesting fashion, players will spend most of their time away from Dunwall in Dishonored 2 as they will instead be finding themselves located in the coastal city of Carnaca and coming across a large number of interesting side characters. In fact, the actual world and the various tidbits that players learn from side conversations and various collectibles help flesh out the world far better than one would expect. This is a plus considering the actual storyline is handled in a rather rough manner as players are given heavy dumps of information that is spread between only the bare minimum, meaning players will often feel like they are simply being told the main story rather than playing an influencing role in major events. It also doesn’t help that while Corvo and Emily will have some unique pieces of dialogue here and there, the major story scenes don’t change much between the two characters making the unique viewpoints of the story somewhat limited outside of the familiar high or low chaos routes. 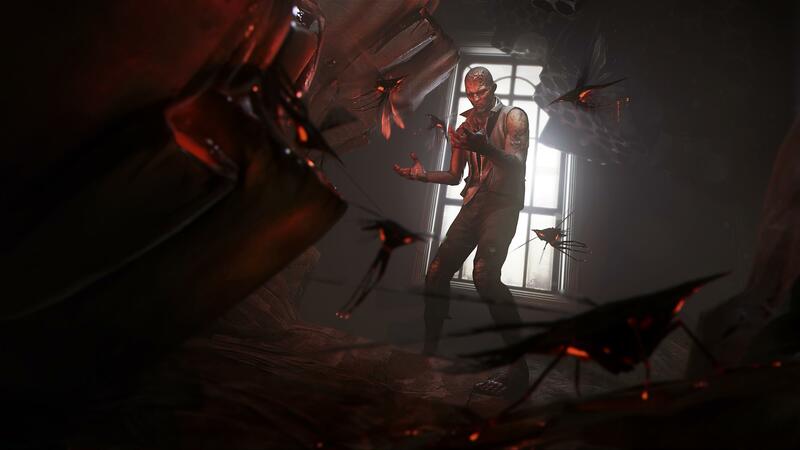 One of the best elements of the first Dishonored was that players had numerous ways to tackle any obstacle that they came across and in Dishonored 2 the variety has been ramped up and made to feel far more natural than before. Almost every situation you come across will have a variety of ways to get around them, such as sneaking through an abandoned building you might have heard the townsfolk talking about while you were exploring, using the environment and each characters respective teleporting ability to simply bypass it, or flat out disabling or brute forcing your way through. Players will find that these numerous routes have also been amplified thanks to the numerous tools that they have at their disposal. The weaponry has been given numerous ways that they can be upgraded to best fit your current playstyle and turn yourself into a killing machine if you so please but those who prefer a non-lethal route will find that there are now a larger pool of non-lethal attack methods and takedowns available, even giving players in open combat a chance to try and subdue their foe without killing them. Taking the variety even further is the fact that players can choose between Corvo and Emily. Now while the story may not alter much depending on who you play as, the unique powers that both characters have make the title well worth playing through a second time. Corvo makes use of his familiar special abilities that have to be unlocked once again due to being drained and this time around many of his skills have been given extra steps that make them even more entertaining to use. Emily on the other hand offers an almost entirely new experience as she can hypnotize her foes, teleport with “Far Reach,” move incredibly stealthy with “Shadow Walk,” create a copy of herself, and even link enemies together with the “Domino” skill so that what happens to one target will happen to everyone linked up. Each of these characters offer a variety of lethal and non-lethal ways to take on any challenge the game may throw at you and with numerous customization abilities players will be able to play through this title numerous times and still find something new as they explore the largely open environments that most of the levels are set in. This is a major plus given the fact that the enemies you face off against can be just as deadly once you are caught in the open. Standard guards will openly attack the player and will attempt to parry, kick stun, and even flank them if they are in open combat. Since these enemies deal so much damage it does tend to be rather difficult at times with how intelligent the AI can be but thanks to the tools at your disposal, plus the options to use skills such as sprinting attacks and brutal execution methods that literally slice an enemy in half, once you get the hang of the game’s combat system every encounter outside of stealth feels just as exhilarating and rewarding as subduing or sneaking through an entire area with no one being the wiser. That being said, players shouldn’t expect the stealth route to be as easy either as guards in this entry aren’t quite like your standard grunts. While standard tricks may work on them from time to time, they will often make various changes to their behavior that can catch a player off guard if they expect them to react the same way every time. 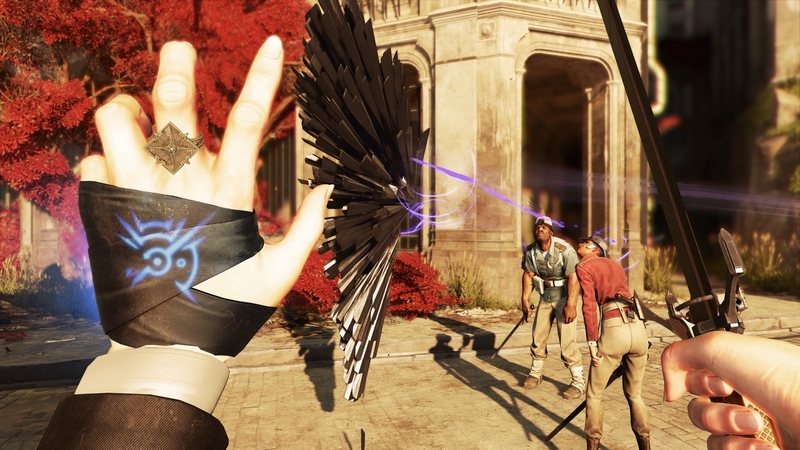 It is worth noting that similar to the first entry, Dishonored 2 makes use of the various Runes and Bone Charms scattered throughout the massive hub areas that make up each level stage. Hunting these down using the same method as before, a certain heart with the same haunting commentary, often takes players down interesting paths they may have missed and generally the reward for obtaining these is worth the effort though be prepared for some of these collectibles/power-ups to feel like they ended up being more trouble than they were worth. The change in location for Dishonored 2 comes as a pleasant one as the new city that players spend most of the game in offers the developers a chance to build a new massive area to explore and they have done this in amazing fashion. Each area feels lived in and believable with some especially noteworthy levels appearing later in the game. Along those same lines, the actual change doesn’t feel all that different since characters are basically the same looking as the original entry though the gore level has been knocked up a notch. These character designs also damage certain emotional moments of the story as the way that their facial structures are handled hamper the expressions they are meant to make. That being said, the voice work and atmospheric noise in the game work incredibly well and help build a living world. Although the story may lack a real hook to keep players enthralled outside of the standard power-grab and revenge mission, thanks to the powers and approachable options given to the player they will almost always feel like they have control over the situation though don’t expect the enemies to simply roll over for you as they are not only quite intelligent when searching but rather adept in battle. 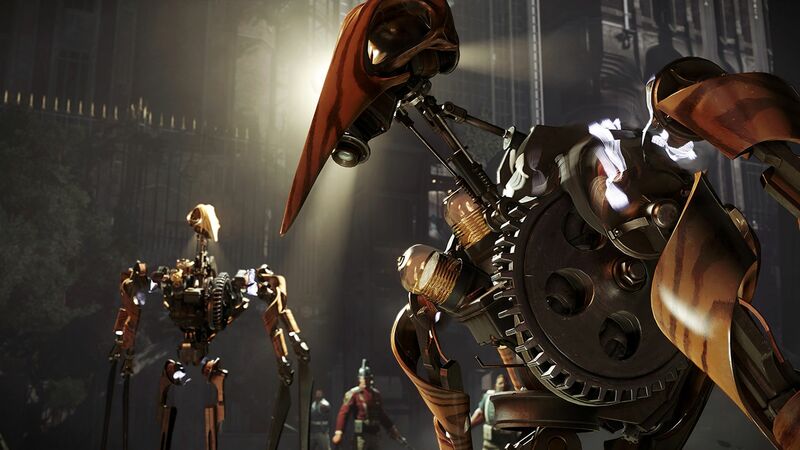 With this challenge and an amazing open feeling world to explore during missions, Dishonored 2 manages to expand upon the world and help refine the mechanics of the first entry to an even better level, making it worthwhile sequel to a game that surprised many years ago. 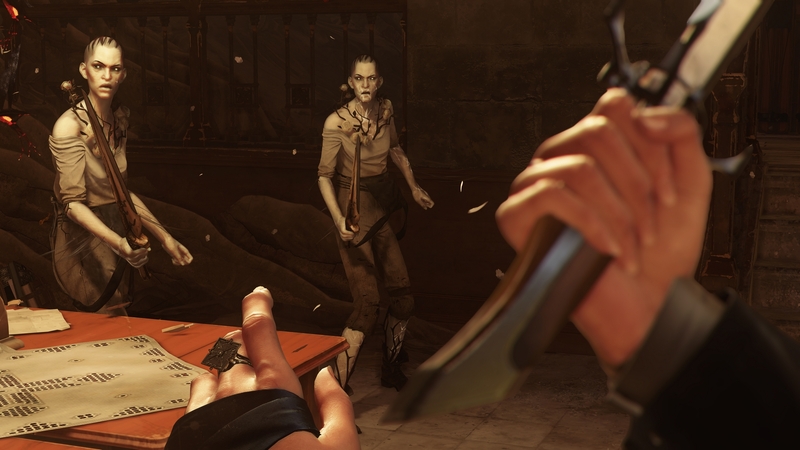 Dishonored 2 refines the gameplay of the first while delivering a predictable storyline that is held up by the outstandingly crafted world it is set in.